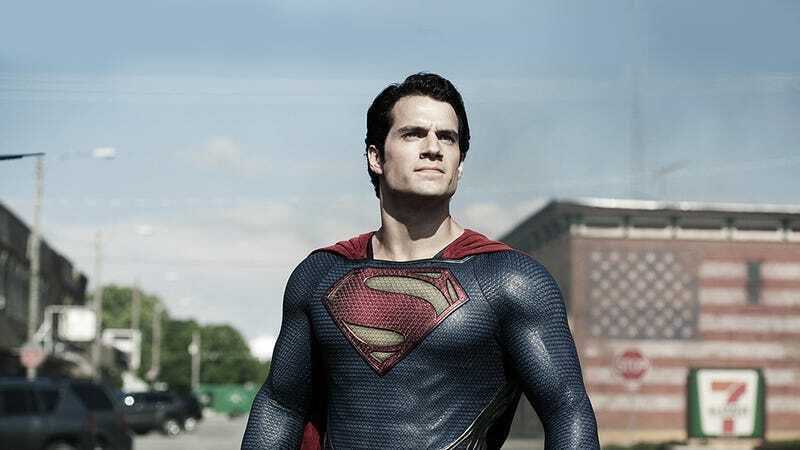 Despite being on television continuously from 1988 to 2010, Superman has only had two interpretations on the big screen in the past 40 years: Richard Donner’s Silver Age-inspired fella who eradicates memories with a kiss, and Zack Snyder’s Superman. The latter version is back in a couple days, facing off against Batman—and in an effort to get myself pumped for Batman v Superman, I’ve been mainlining Super-people stories like its my job. And I’ve come to one major conclusion: Immigration is the whole point of the Superman story. And if you don’t keep that in mind, you don’t get Superman. As you probably know, the first Superman comics were created by the children of immigrants. Artist Joe Shuster was born to immigrants from Rotterdam and Lithuania, and writer Jerry Siegel was a first-generation American born to refugees fleeing the fall of the Russian Empire. While Siegel might have had no first hand experience with Russia’s fall, he no doubt grew up on stories of its collapse, and it inspired his own stories. At the same time, he and Shuster were inspired by the John Carter of Mars stories, where a man travels to another world and gains incredible powers from his new environment. From the very beginning the story of Superman was about a stranger in a strange land. Superman is also uniquely bound to American culture and iconography—more so than even Marvel’s Captain America. When people talk about Truth, Justice and the American Way, they’re thinking of Superman, with his chest puffed out and kind, fatherly grin on his face. Superman’s history as immigrant and refugee only serve to make him more American. And this is a hopeful version of the immigrant story, too. Clark comes to the US with nothing, and builds a life for himself—he also integrates happily and finds a balance between the ideals of Krypton and the tenets of his new home. He’s welcomed with mostly open arms by the American people. The US is a country of immigrants, despite what some people seem to thinks, it stands to reason that our greatest, and most iconic superhero would himself be an example of a successful immigrant. Which is why it’s so sad that the immigrant story told in Man of Steel is a deeply pessimistic one. In Zack Snyder’s reimagining, the Kents worry that nobody will accept an alien living among us, and that people will react with fear and persecution. And the film actually goes to some lengths to make the Kents’ fears seem plausible, showing the weird reactions that Clark gets early on, when he can’t control his powers. Later, because the discovery of Superman living among us coincides with the arrival of a honking big alien spaceship spouting threats, the reaction turns full-on paranoid and violent. Many people have criticized the extreme individualism of the Kents—at one point, Ma Kent tells Clark “You don’t owe them,” referring to the human race, and Pa Kent famously suggests that Clark should have let a busload of schoolchildren drown instead of revealing his powers. This may make more sense now that we know Snyder is eager to adapt an Ayn Rand novel for the screen. But this individualism springs, at its root, from the fear that an immigrant will never be accepted in America. Somewhat complicating this story of the Kents’ paranoia about American xenophobia is the fact that Man of Steel adds a lot of baggage to Superman’s origin. As usual, he’s the survivor of the destroyed planet Krypton—but in this version, Krypton is a dystopia that’s on its last legs because of genetic engineering, test tube babies, and a reliance on a single genetic “codex” kept inside a humanoid skull. Because Superman is born via natural birth, he’s already an iconoclast—born to disrupt the system and tear down Krypton’s institutions simply by existing. And meanwhile, General Zod, the movie’s villain, has an agenda to overthrow Krypton’s government (as he usually does in the comics and other versions.) But he also wants to create some kind of new eugenics movement. He tells Superman’s father, Jor-El, “Help me save our race. We’ll start anew. We’ll sever the degenerative bloodlines that led us to this state.” Zod wants to get the genetic codex (which is embedded in Superman’s own DNA), so he can build a new, more genetically pure Kryptonian race. The battle between Zod and Superman appears in virtually every iteration of the character. He will always choose his new country over his birth country. But this time around, it’s complicated by the fact that Zod has such a confusing agenda. Still, the way that Superman proves himself to the human race and earns our trust is by fighting his own people. The only way Superman can ultimately embrace his role as superhero is to sever his ties with his old world (along with Zod’s spinal cord) forever. To find a version of the Superman myth that preserves his past as an immigrant and the hopeful notion that Americans will welcome people from foreign lands with open arms, you have to look elsewhere. Like Supergirl, the new CBS TV show that spends a lot of time exploring the impact on her psyche of her time as an immigrant and refugee. Unlike her cousin, Supergirl actually remembers living on Krypton and she’s absolutely, positively furious over the loss of her home. Her rage, simmering just beneath her cheerful disposition, likes to pop up in fights and when she’s pressed too hard. Her constant sense of alienation, and the frustration she struggles to put into words, are constantly there in the background. And yet Supergirl is also a deeply hopeful story, in which people are ready to embrace Kara even when she makes mistakes. Let’s hope the next people who interpret Superman for the big screen (or the small) pay attention to Supergirl—and to other great portrayals of immigration in comics, like Marjane Satrapi’s Persepolis, which is as dark as Man of Steel but carries more emotional realism. At a time when xenophobia is becoming as American as apple pie, we need more than ever, to have creators who are committed to finding ways to tell the uplifting story of our best known immigrant.